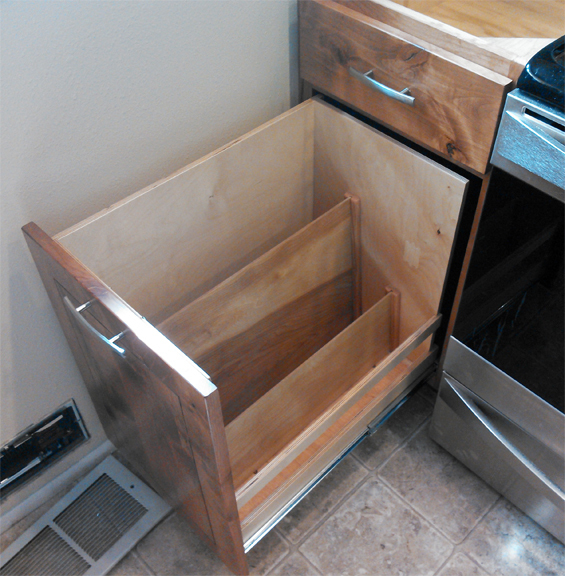 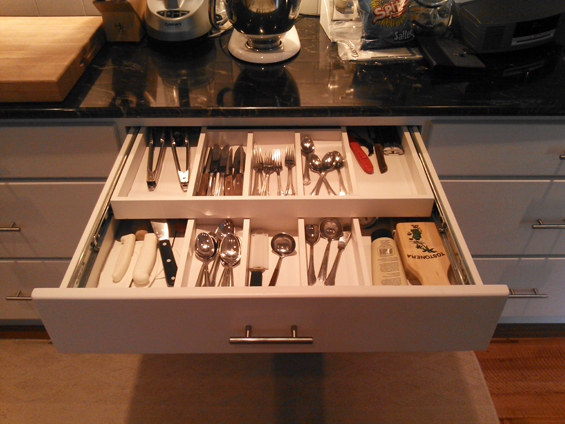 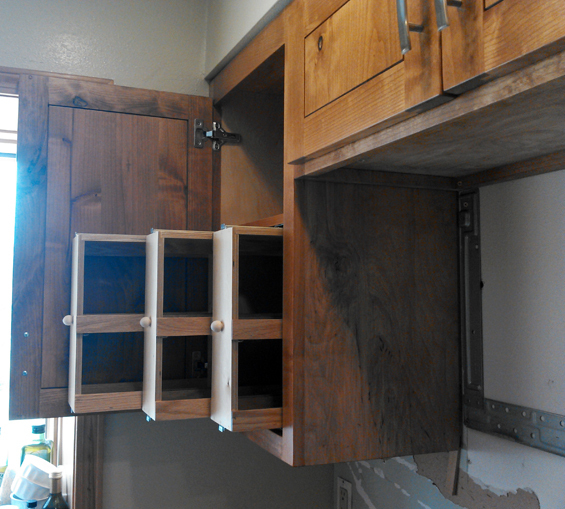 Dual Sliding Divided Silverware Drawer. 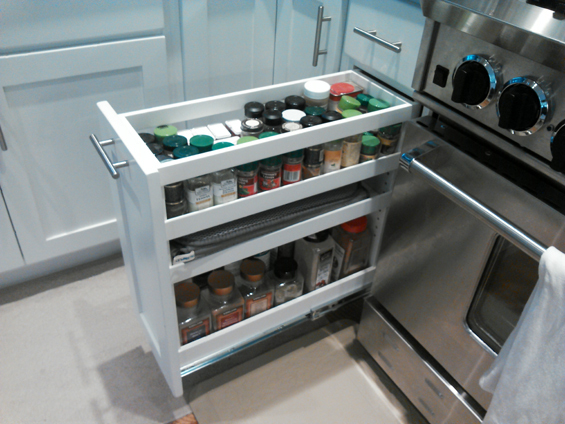 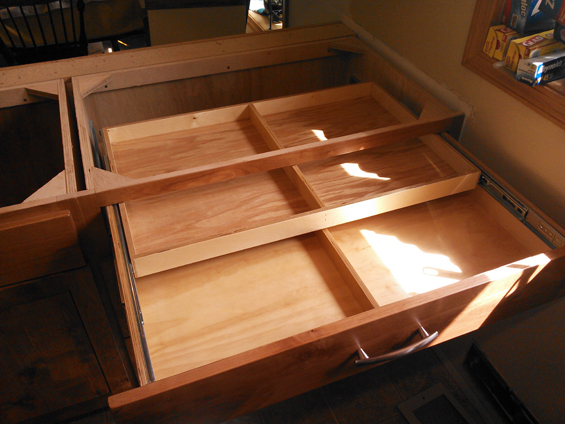 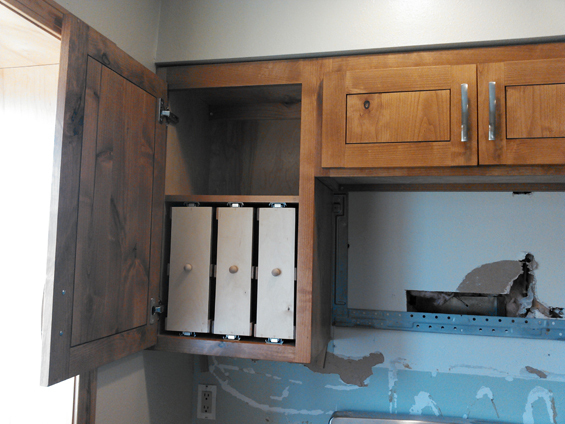 Spice Pullout with Adjustable Shelves. 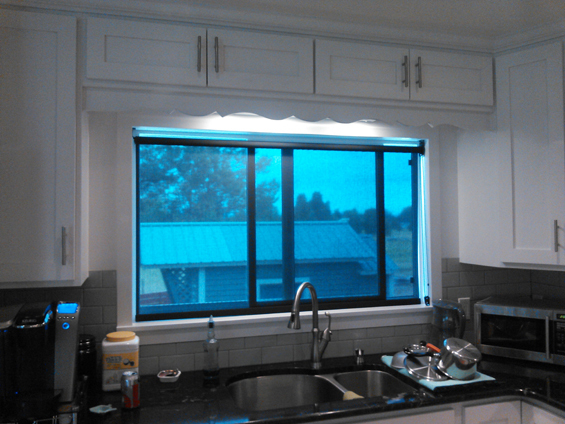 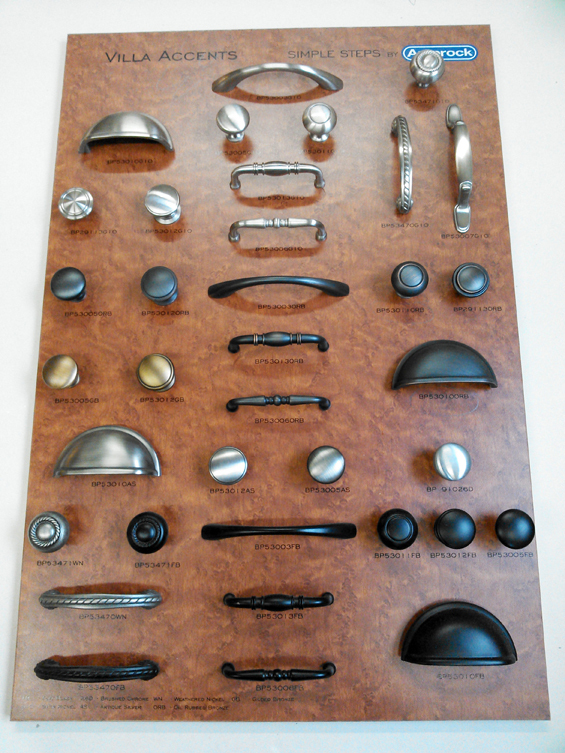 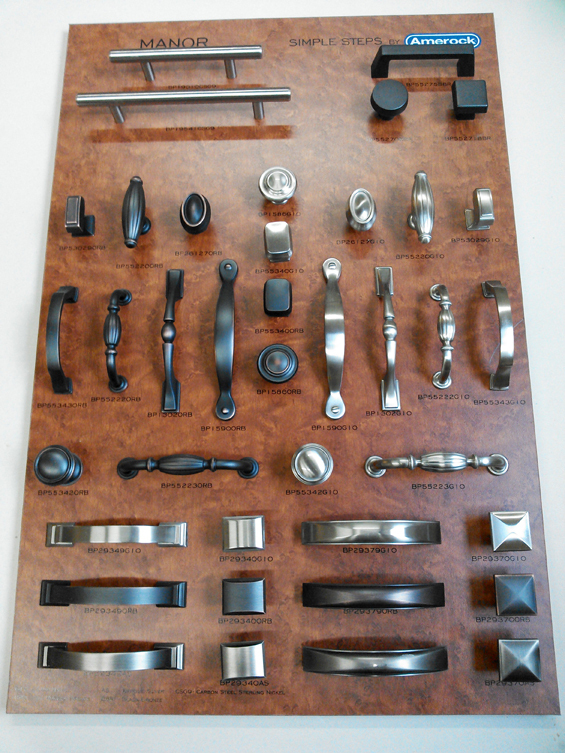 We do Custom Window Trim and Valances to match Cabinets.